Yesterday Walt Disney Studios announced its full roster of movies for 2017 and while there may only be eight films on the slate every single one of them seems to be a potential powerhouse at the box office.
. © 2016 Disney Enterprises inc. All Rights Reserved. Let’s begin at the beginning. Disney is kicking off the year by bringing one of its beloved animated features, Beauty and the Beast, to life in live action. By now you’ve seen the trailers and posters so this one isn’t much of a gamble. Emma Watson was the perfect choice to play Belle and by all accounts the rest of the cast seems to be a perfect fit. More than that, special effects have come so far since the original film was released that they’ve managed to create a lifelike Beast that doesn’t scream CGI. Given the cult following of the animated movie there is zero doubt that Beauty and the Beast will light up the box office. Photo by: Ben Wallis. ©2016 Disneynature. All Rights Reserved. This one is a little more under the radar. Born in China takes the viewer deep into the jungles of Asia to and some of the most extreme environments on earth to give the audience an in-depth glimpse at a world rarely seen by man. Follow a young panda as he grows up and explore his terrain with the help of his mother. Join a group of displaced golden monkeys as they try and find their place with a group of other animal outcasts. These stories and many more will highlight the nature documentary premiering in U.S. theaters on Earth Day 2017. Easily one of the most anticipated movies of the summer, Guardians of the Galaxy Vol.2 follows the newfound family as they fight to stay together as they unravel the mystery of Peter Quill’s (Chris Pratt) parentage. The film will bring back old favorites and a few new surprises from the Marvel canon as well. The first film defied expectations as Marvel took a chance on one its lesser known properties. Two years later the team is hotter than ever and director James Gunn once again brings his unique take the cosmic side of the comic book universe. This one is a little bit more of a gamble for Disney. Truth be told the Pirates franchise ran out of steam after the third one but the company seems desperate to soak every last bit of money from the idea, so here we are again. This time around Captain Jack Sparrow must fight Captain Salazar (Javier Bardem) who seeks vengeance on all the pirates of the sea for exiling him into the Devil’s Triangle. As expected the cast is fantastic but there really isn’t much more for the franchise to do. The plot sounds more or less like the last three films and there isn’t that many surprises left for the audience after that. It might be time for the Mouse House to retire Pirates or at least give it a couple of decades off. Cars 3 is yet another example, like Pirates, of a franchise simply running out of steam. The plot involves veteran race car driver Lightning McQueen (Owen Wilson) as he recovers from an accident on the race track. In order to get back in the game he must rely on an eager young race technician (Cristela Alonzo) with her own plan to win. Pixar is one of the best studios in the industry and capable of creating some truly iconic masterpieces. So why they feel the need to turn Cars into a trilogy makes very little sense. The film is by far its weakest entry yet one gets the impression that Disney wants to mine it for all its worth. Photo by: Jasin Boland. ©2016 Marvel Studios. The last of Marvel’s Thor trilogy seems to be embracing the bonkers nature of the Marvel universe. Directed by Taika Waititi, of What We Do in the Shadows, the film seems be going for a more upbeat tone than its predecessors. This time around Thor is in a race against time to save Asgardian civilization from the villain Hela. Marvel rarely disappoints and this film looks like it isn’t holding back at all. Waititi has already proved himself a master of balancing drama and comedy so he’s the perfect fit for such a grand adventure. Given the nature of the story and the impending end of Hemsworth’s contact this may well be the last audiences see of Thor for a while, at least in this incarnation. If anything that ups the stakes of the film allowing for some real danger. Pixar’s Coco should more than make up for the mediocrity of Cars 3 this year. The film tells the story of Miguel (Anthony Gonzalez) who dreams of becoming an accomplished musician like his idol Ernesto del la Cruz (Benjamin Bratt). Desperate to prove himself Miguel finds himself lost in the Land of the Dead where he must unravel the real story of his family history. This looks like a film that actually pushes the envelope, something which is more on par with what Pixar usually develops. This is one Disney is keeping strictly under wraps. Other than a release date no official imagery of synopsis has been released yet. Don’t expect anything official on it until at least October although images will probably leak sooner than that due to the nature of the internet. Needless to say there is quite a lot of hype around the latest entry in the Star Wars universe. 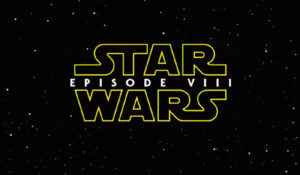 Twice now Disney has proved it knows what it is doing and there no reason to believe Episode VIII will be any different.